As one of the leading manufacturers of drive technology, we also provide the right inverter technology for our mechanical components. We develop and produce drive and frequency inverters for controlling drive trains in machines and systems. And we do this for central installations in the control cabinet or for wall mounting just as we do for decentralized installation. How does a frequency inverter work? What types of frequency inverter are available? Where are frequency inverters used? Frequency inverters are electronic devices that let you control the speed of an AC motor. Background: If electric motors or AC motors are operated directly from an AC voltage supply system, they can only avail of a fixed speed based on the number of poles and the supply frequency of the power supply system on location. If, however, an application or production process requires an adjustable AC voltage (that is, a controllable speed), frequency inverters are used. These frequency inverters can generate an AC voltage that is variable in amplitude (the output voltage level) and frequency from a constant AC voltage. A frequency inverter is therefore connected upstream of a motor to generate an AC voltage that can be adjusted to meet customer requirements. The power supply system then no longer generates the frequency and voltage level with which the motor operates. Instead, the frequency inverter takes over this task and controls the output frequency and output voltage. What is the major advantage of the frequency inverter? You can use it to seamlessly change the speed of a motor from practically zero to your required nominal speed and have access to a significantly greater speed range. The torque of the motor remains unchanged. Plant operators can therefore adapt their drive technology to the conditions they require at any time. A frequency inverter also allows you to directly switch the direction of rotation. A simple control command is sufficient to change the phase sequence. The downstream AC motor then turns in the opposite direction. Current-controlled frequency inverters maintain the ratio of current to frequency (I/f) at a constant level at all times and are suitable for use in applications in the high megawatt range. 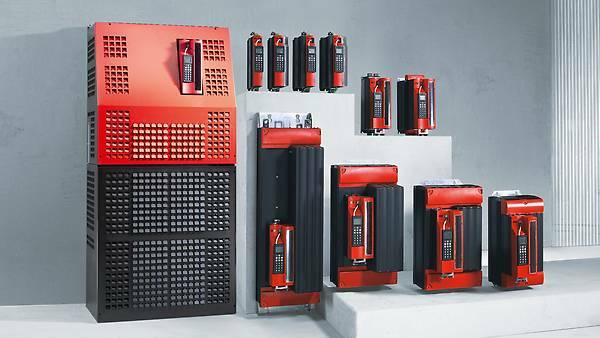 In the lower megawatt or kilowatt range, in contrast, voltage-controlled frequency inverters represent the latest state-of-the-art technology. They maintain the ratio of voltage to frequency at a constant level at all times: If, therefore, a motor that is designed for a voltage of 230 V and frequency of 50 Hz is operated with 25 Hz, the voltage is also halved to 115 V.
In simple terms, the following cases are suitable for voltage-controlled frequency inverters: A rectifier converts the AC voltage supplied from the supply system into DC voltage. A DC link then takes on the task of smoothing and stabilizing this DC voltage. Subsequently, the operative DC-AC inverter on the motor side generates an AC voltage with the output frequency required by the application. The resulting voltage-to-frequency ratio then produces the required motor speed. An integrated controller that connects all of the assemblies to each other specifies or calculates the required speed. Frequency inverters are used in a huge variety of industrial sectors and applications. Whether in drives for pumps and fans, processing machines, conveyor belts and assembly lines, or cranes and handling systems: Frequency inverters are now indispensable in industrial production. In that sector, an adapted or infinitely variable speed allows for optimized production processes – alongside the additional benefit that drives with speed control ensure energy-efficient operation. Our frequency inverters are available in different designs and with a large number of optional functions that cater to many needs and requirements. Another decisive issue is whether a frequency inverter is to be positioned on the wall, in a central and protected position in a control cabinet, or directly in the field (that is, a decentralized location). And depending on how simple or ambitious the application in question is, more and more basic frequency inverters, or application inverters, with a large scope of functions or multi-axis servo inverters are being put to use. SEW‑EURODRIVE was the first company to develop decentralized technology and bring suitable frequency inverters and mechatronic drives to the market. They help plant operators to significantly reduce their installation expenses and provide a variety of options for designing their plants in a modular system without the need for control cabinets. Our inverter technology portfolio also includes devices for regenerative power supplies that can be combined with one or more frequency inverters and drive inverters. 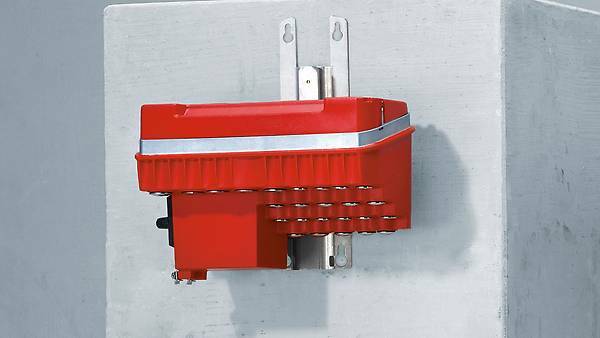 Furthermore, we offer basic motor starters for integrating with the gearmotor. .
An additional lower-priced option for centrally installing frequency inverters is wall mounting. This solution should always be considered if you wish to avoid purchasing an expensive control cabinet. Our frequency inverters, which are ideal for this type of installation, are suitably designed with a degree of protection from IP 54 to IP 66 (for dusty and damp ambient conditions).